We’ve all done it. It seems inevitable, and it happens. We all waste time. Not always done purposely, wasting time can come from external forces like an unscheduled visit from a colleague or a Facebook notification buzz on your phone. Or maybe it’s an internal force and you’re just not feeling it today. Whatever it may be, it’s killing your productivity and that’s time you can’t get back. Being in sales, time is of the essence as you’re trying to fit in as many prospecting activities per day to close those deals. So, how do you make sure you’re making the most of your time in the workplace? Here are 3 ways to boost sales productivity and increase your wins. What’s the most important task on your to-do list? Do this first. A huge productivity killer is multitasking. A study found that it takes an average of 25 minutes to get refocused on a task after being distracted. This adds up to just about over an hour of refocusing. During this time, you might’ve been scrolling down your Linkedin feed, checking your Facebook notifications, or just seeing what Doug the Pug’s been up to. But let’s be real, this precious time could’ve been spent on work. What can you do? Create a clear task list, rank each in priority or maybe put those quick email responses at the top, and work through each task one by one. Despite the feeling you’re getting more done when you balance four tasks at once, instead of zoning in on just one, studies show that multitasking is a major waste of time and money—especially when a deal is on the line! Meetings seem important to hold, and makes the person holding it seem important. And sometimes, they are necessary. But how many times have you walked into a meeting without a clear agenda, and walked away thinking that could’ve been resolved without ever having left your desk? This can be especially frustrating for a salesperson, when quotas for calls and meetings booked are on the line. What to do: Identify the specific goal of the meeting and see if you can’t accomplish this goal without having the meeting. For example, common sales meetings occur weekly for an hour to review current sales numbers. An easy way to save everyone some time is through an up-to-date, automated leaderboard that gives you a quick glance of your team’s sales metrics by day, week, or quarter. Or, if discussion is necessary, try using Slack and creating a dedicated #sales-team channel to review topics. This way, everything is written down in one forum and can be referenced back for review later. If a meeting is inevitable, try shortening the meeting to 30-minutes and aim to discuss everything in that time frame. Give your team back an hour of their week and let them focus on their sales activities that drive your business. When you can see your goals, you’re more likely to achieve them. This is because visualizing your goals allows you to see the roadmap and progress, knowing that each step is one step closer to reaching your target, motivating you that much more. Meeting your call goals today and meetings booked quota next week is a huge accomplishment in itself. Most reps don’t see this as a success, only acknowledging the end goal (a closed deal) as the win. This mentality is what boggles us down. Celebrate wins, big and small. Make it a big deal to meet your quotas for calls, meetings, and even account expansions. Making it a breaking news alert can boost morale and keep the momentum going for your whole team. Visualizing goals also ensures that everyone is on the same page and encourages teams to hit their daily, as well as long-term, goals. By encouraging the right behaviors, you’ll start to see a boost in productivity and a more unified culture. Productivity won’t come instantly, but if you make the effort to change these tips into healthy habits, you’ll start to see how much more you can get done. 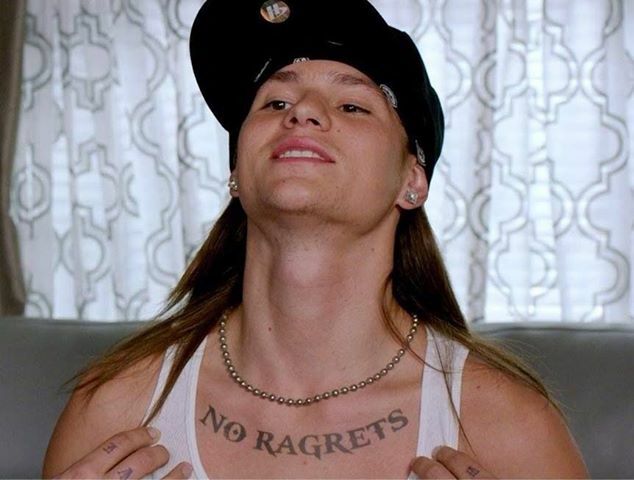 Spend and live each day with #NoRagrets.